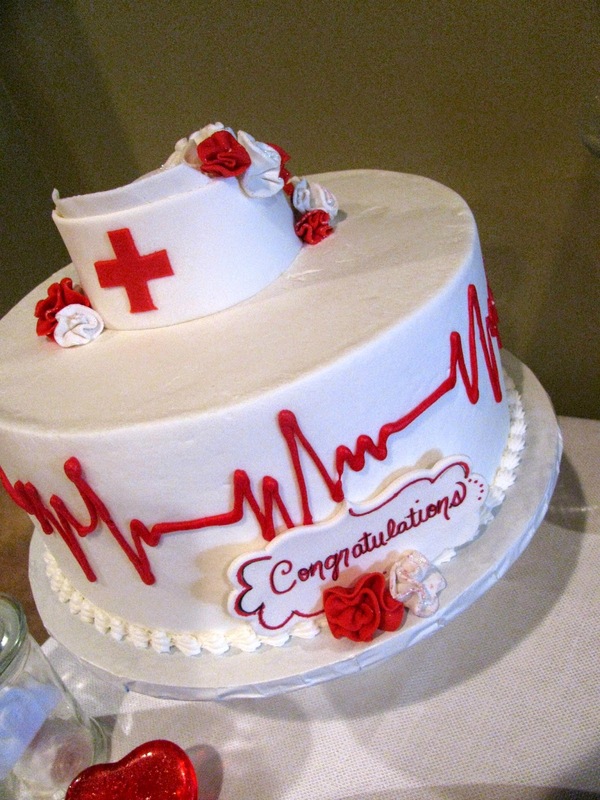 You know completing nurse school is quite the accomplishment! And one to be, for sure, without a doubt, celebrated. Come snow or high water! 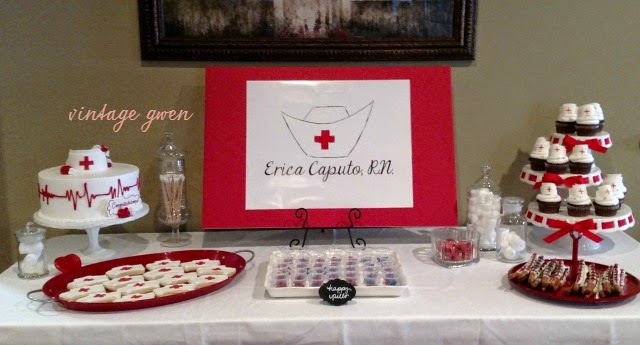 Yep that's right, we had my sister's nurse party in the snow! 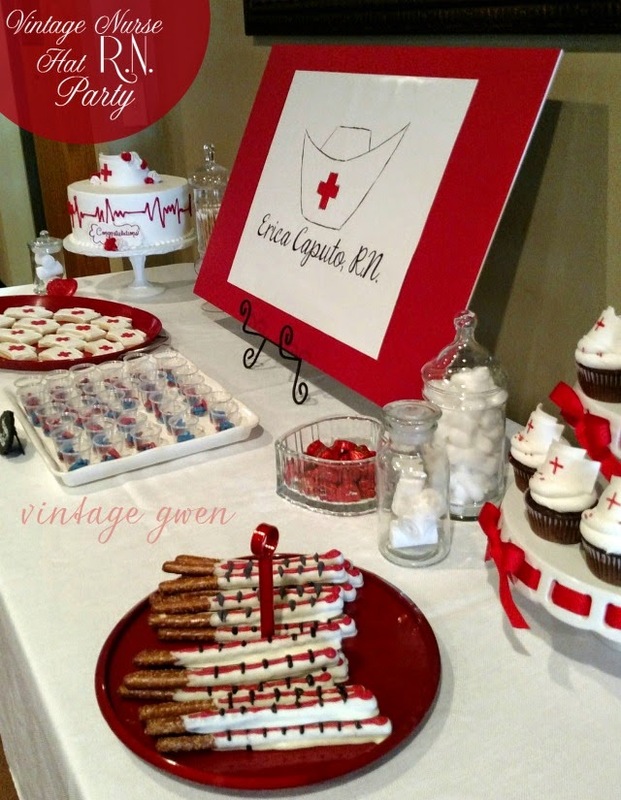 Unfortunately, we couldn't reschedule it and had to carry on and I'm so pleased with how everything turned out! 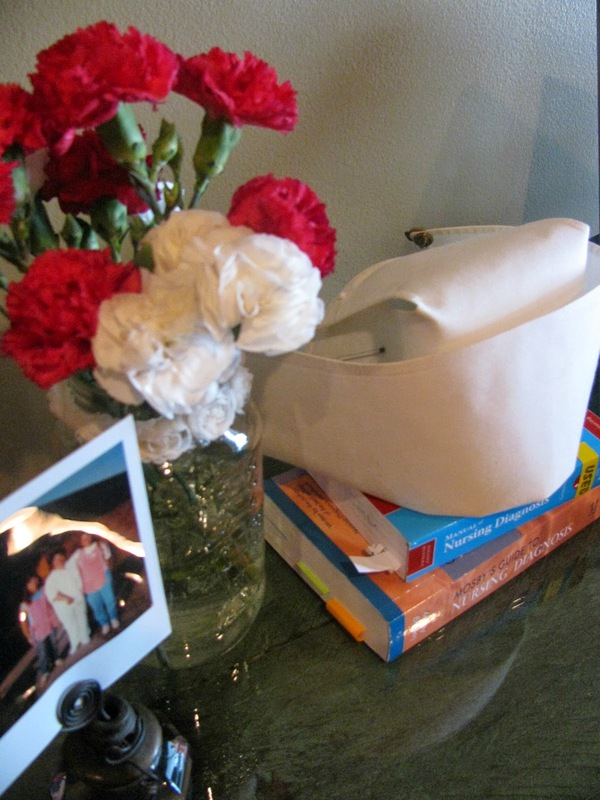 I went with a vintagey, vintage nurse hat theme. The first thing I did was create a logo (in PicMonkey of course!) and went from there! It is actually a circle, below is the Facebook event photo I made and also made an invitation similar to this. 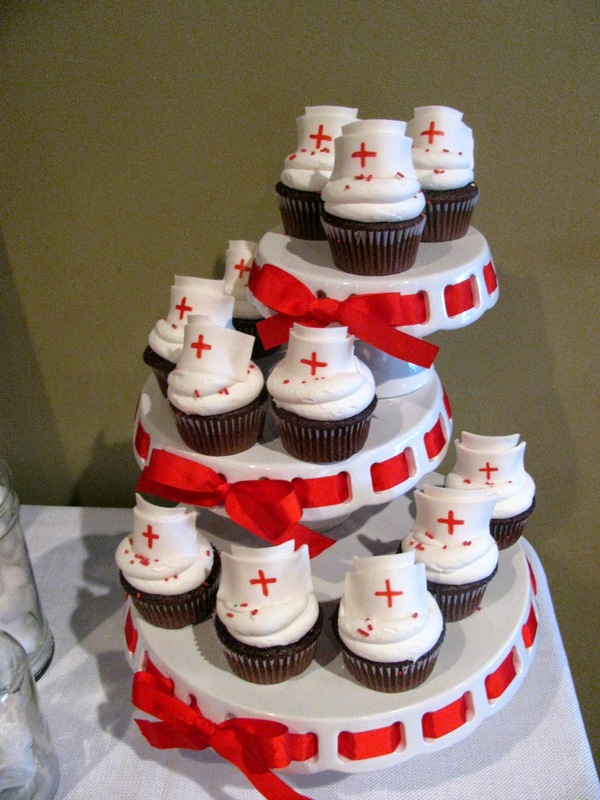 I found the nurse hat on Google and then did the rest in PicMonkey. I also used the logo to customize a tumbler from Starbucks so my sister would have it for her new job! I used a local baker for the cake, cookies, and cupcakes and absolutely love how all three turned out! 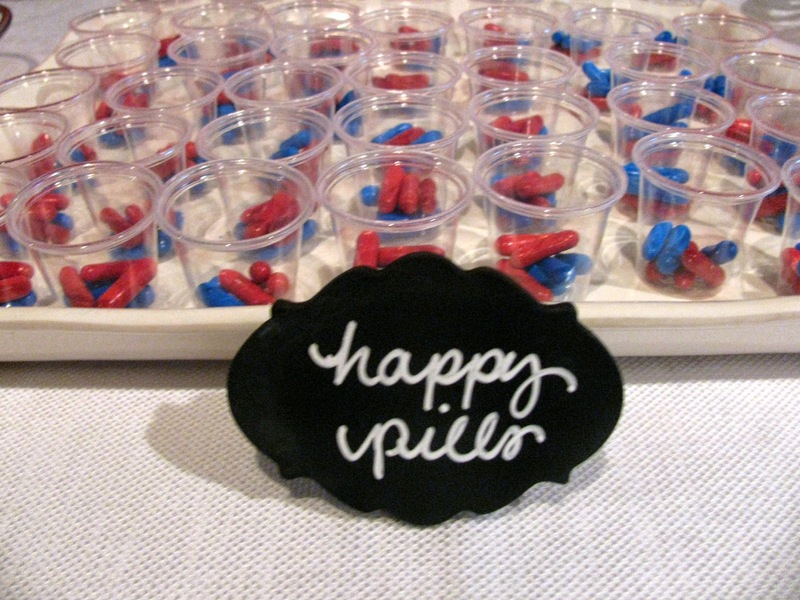 I made the thermometer pretzels and then found some licorice candy in red and blue that looked like 'happy pills'. 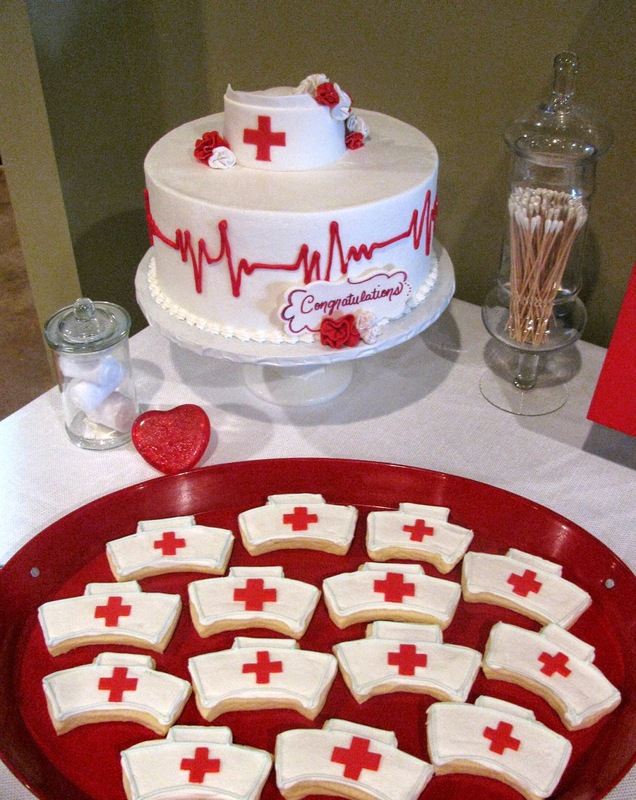 We also had finger foods for our come and go guests. For the logo centerpiece, I simply uploaded the logo to Walmart and made a poster! I did have to trim it as it wasn't centered but that was ok since I was having to mount it to a red foam board from Hobby Lobby. 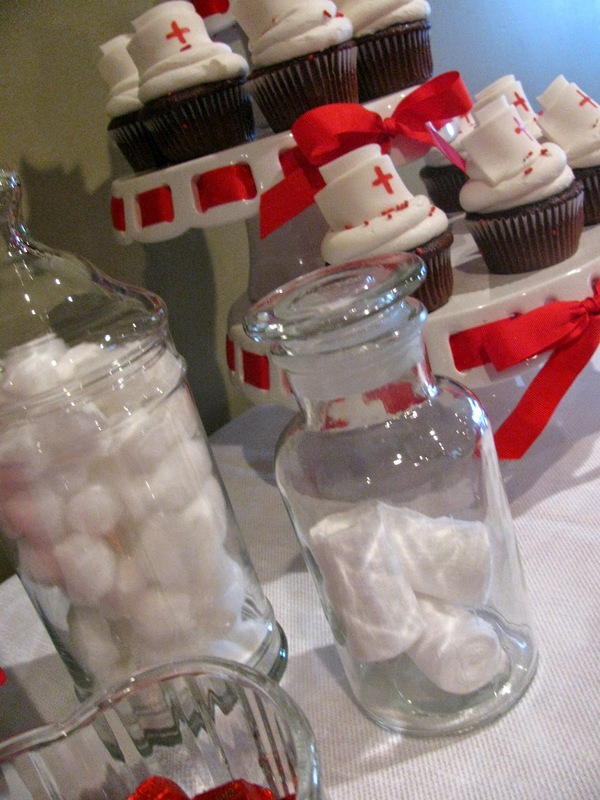 Great, easy, inexpensive way to enhance a sweet table! 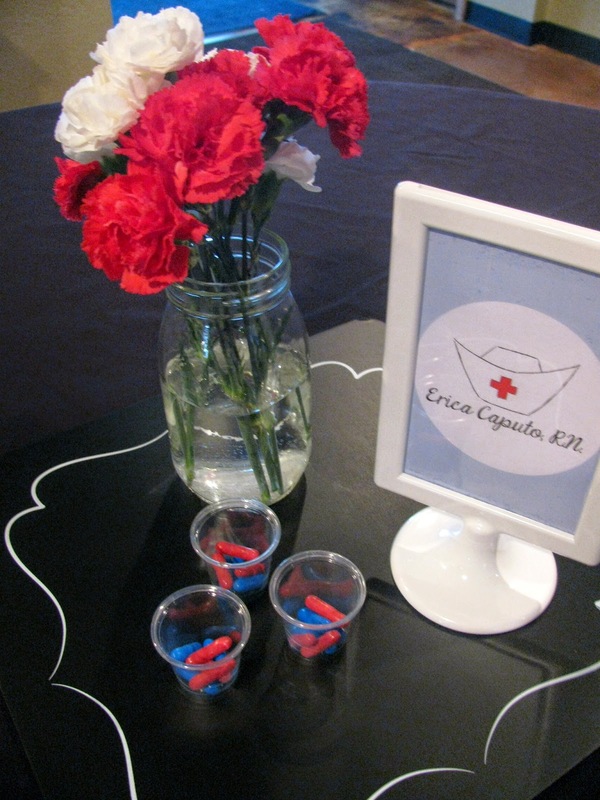 For table decor, I used the infamous Ikea Tolsby frame and framed the logo, added my sister's favorite flowers and some more happy pills and done! 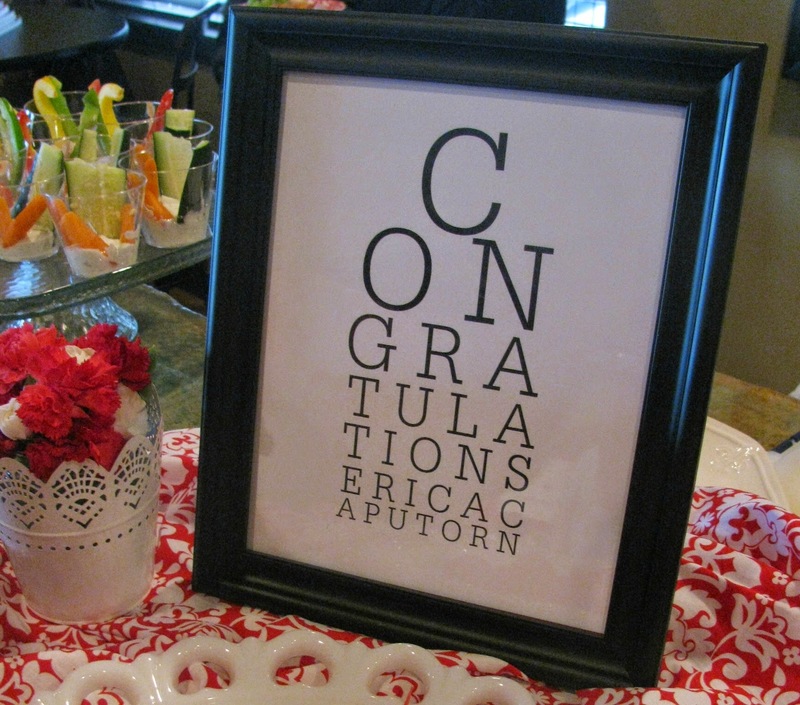 I recreated this congrats eye chart I saw on Pinterest in PicMonkey and used it near our snacks. 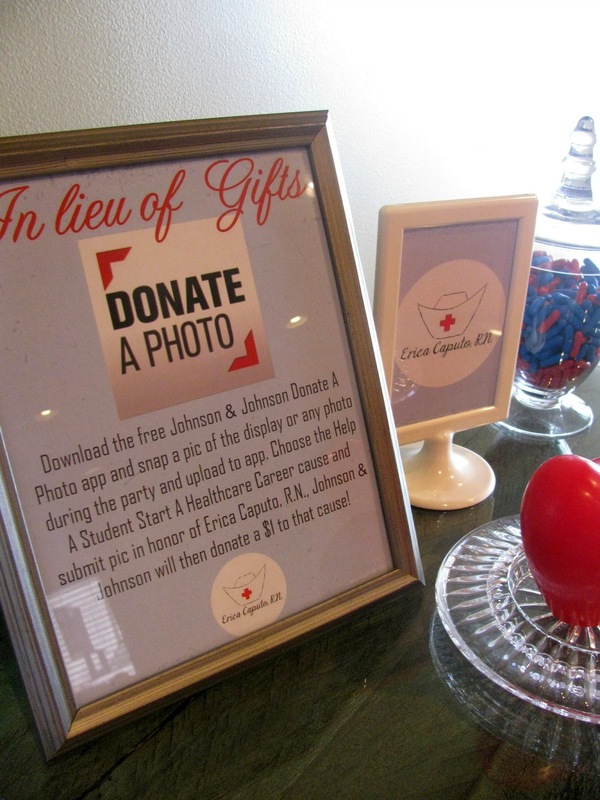 Finally, instead of gifts we asked guests to use the Johnson & Johnson Donate A Photo app and upload a photo and choose the Help A Student Start A Healthcare Career cause in honor of my sister's accomplishment. Johnson and Johnson then donated a $1 to the cause. 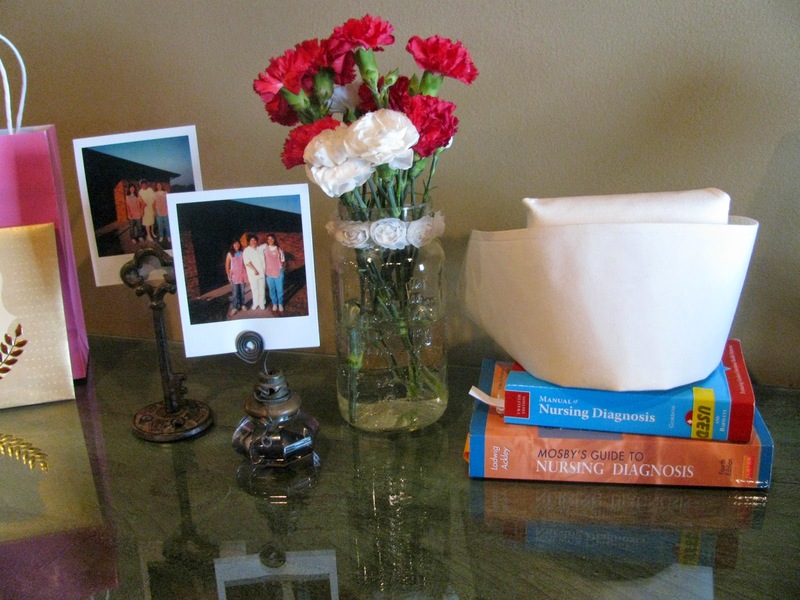 I created a 'photo op' display using some of my sister's school books, our mom's nurse hat, and some Polaroids of when my sister (and cousin) candy-striped. 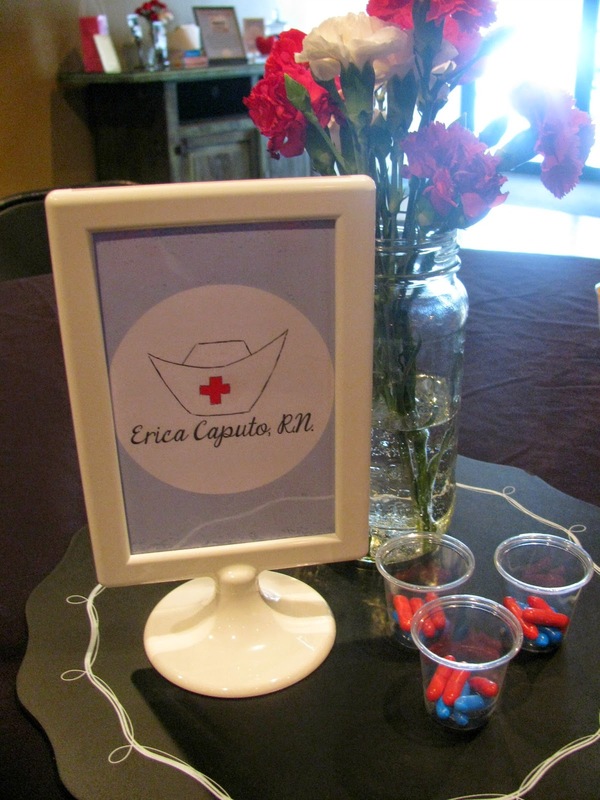 We're so proud of Erica! She's already started a new job and is loving it!